Look at that Tiramisu ripple! That’s exactly how I felt when eating this dessert. It was literally the best pick me up after a very long week. 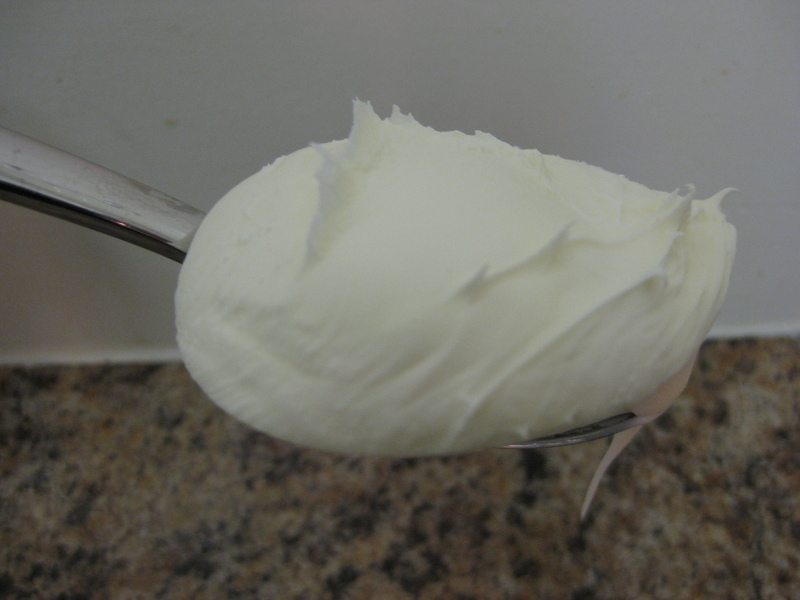 The marscapone cheese - the secret ingredient in this wonderfully creamy recipe! For the record: Sugar is my last name. No I did not change it for this blog , Yes it is a real last name, and No I did not make it up! Now that that’s cleared up I can tell you how I decided to make this ice cream. Since starting 365 scoops I’ve had many flavor requests, but none as tall an order than this recent email I received from a friend. I’ve decided to copy and paste it below exactly as it arrived in my inbox (note: there is no email salutation; my friend really cut to the chase!). Chocolate banana bread ice cream (perhaps like chunky monkey but with actual chunks of banana bread or banana bread batter) GROSS! DON’T YOU KNOW I HATE BANANAS? 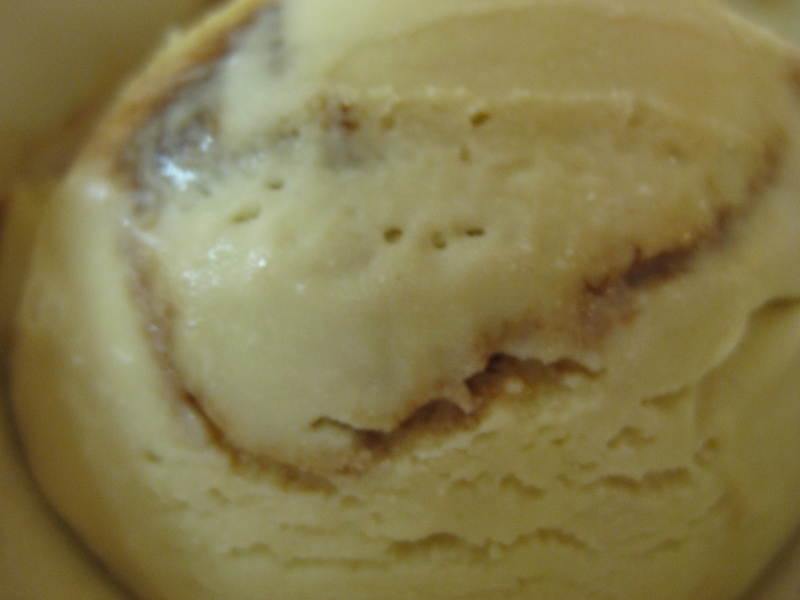 The tiramisu ice cream mixture after being blended. 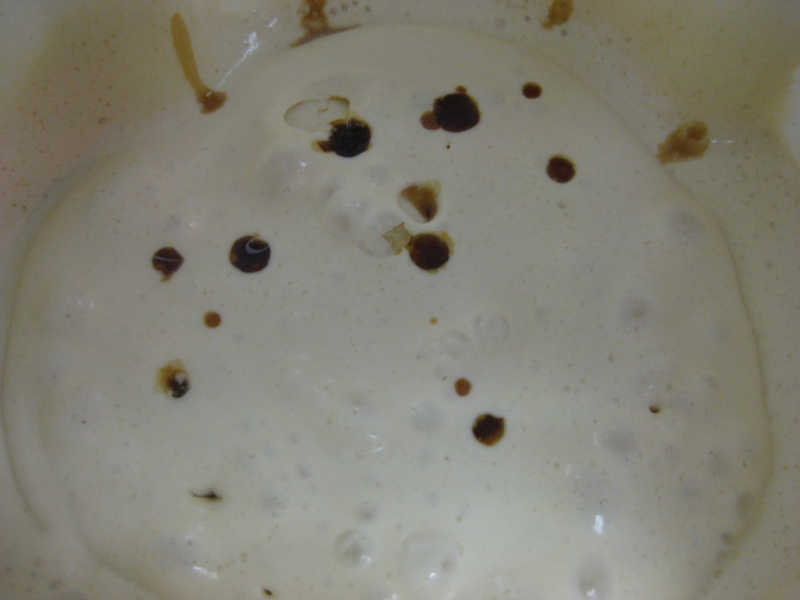 Notice the little dots of Kahlua before being stirred in. This ice cream has two parts; the actual ice cream base and the mocha ripple. I will provide you with both recipes below, but remember, the mocha ripple can be used in a plethora of other ice creams. 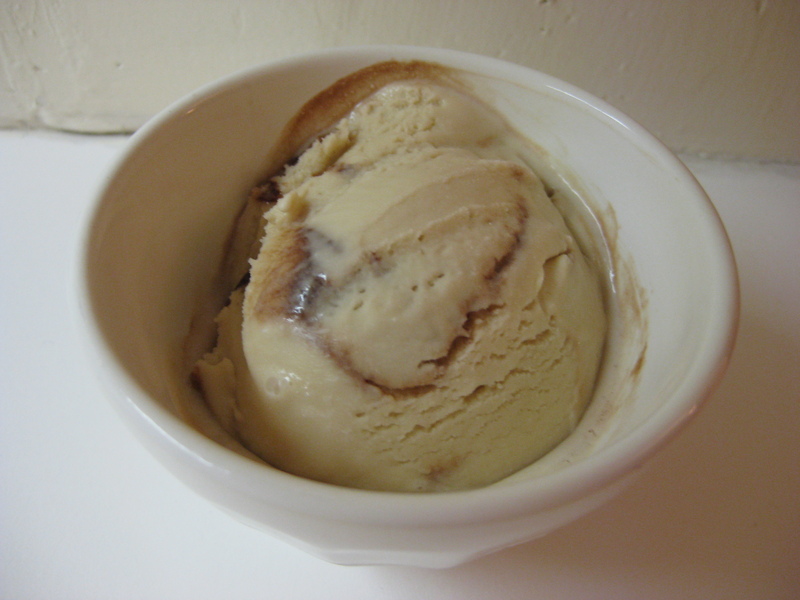 In fact, stay tuned because the mocha ripple makes a guest appearance in another flavor soon! Before I say more, I have a confession. The first time I made this recipe it was horrible. Actually, it was burnt. No, it was bitter. In truth, it was just plain bad. I tried blaming a variety of different sources: perhaps the corn syrup I had in the house was too old, maybe I didn’t quite measure out the right amount of cocoa powder, or perhaps I just overcooked it, and in turn burnt it. It turns out that all these are true, so really it was a series of unfortunate events. The corn syrup was “expired”; when I first made this recipe I had exactly (or so I thought) 6 tablespoons of cocoa powder left and was scraping every last morsel of it into this recipe; and if that’s not enough, I completely overcooked it and burnt the damn thing. I have never re-made a recipe yet on this blog – but there really is a first for everything. So, even though it was against everything I stand for, I had to dump out the first batch and try again. I must have followed the recipe so much more closely the second time, because as soon as I took it off the stove and tasted it, I knew it was perfect! 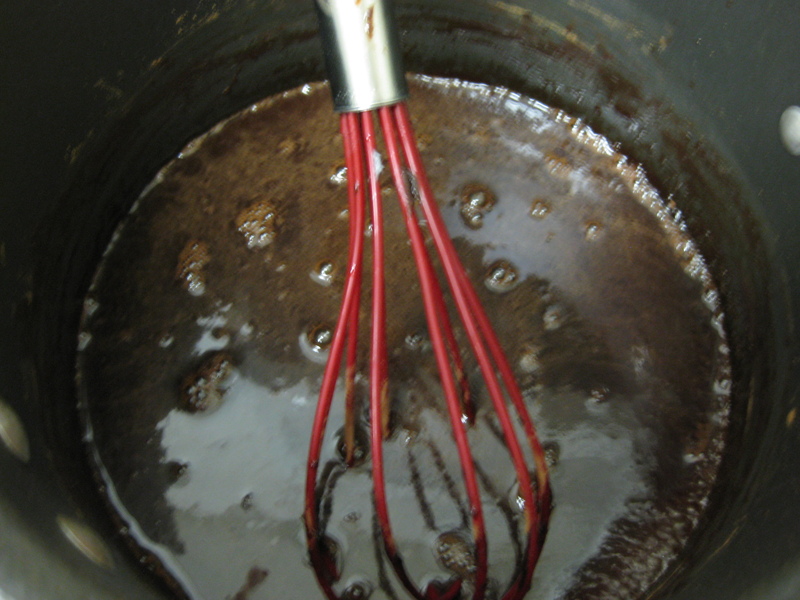 Take 2…Whisk together the sugar, corn syrup, water, and cocoa powder in a medium saucepan. Heat over medium heat, whisking constantly until the mixture begins to bubble ever so slightly at the edges. Continue to whisk until it just comes to a low boil (this is where I messed up, so watch out!). Cook for 1 minute (max! ), whisking frequently. Remove from the heat, stir in the vanilla and the instant coffee, and let it cool. Chill in the refrigerator before using. 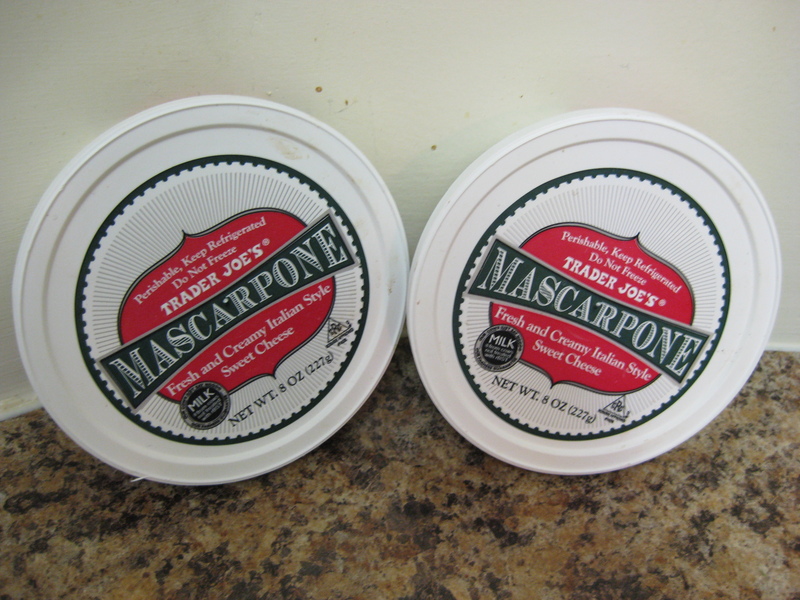 The marscapone cheese. So. Freaking. Creamy. Puree the marscapone, half-and-half, sugar, salt, kahlua, and rum together in a blender until smooth and the sugar is dissolved. Chill thoroughly in the refrigerator. Freeze in your ice cream maker according to the manufacturer’s instructions (for me that was 22 minutes). As you remove it from the machine, alternate layers of Mocha Ripple with the frozen ice cream in the storage container. I used approximately 1/3 of the mocha ripple sauce. Make sure to keep the remaining sauce in the refrigerator (it keeps for 2 weeks) because it’s excellent when drizzled over the ice cream as well. Freeze it immediately. When you take the ice cream out of the freezer you will notice that it’s beautifully marbleized and ripple-y. Tiramisu Ice Cream. A true "pick me up"! The Husband: This is your best one yet! My friends also loved it. I even think that my friend who requested the flavor enjoyed it too! Everyone noted that the Kahlua really came through in the ice cream flavor. This was also the creamiest ice cream I have made yet (a close second is the cookie dough ) and without a doubt it’s because of the marscapone cheese. Unlike some other recipes I’ve made, this one keeps beautifully in the freezer and is just as creamy, smooth and delicious a week later. I only know that, of course, because I saved my father one little scoop to try. The rest of this ice cream was totally devoured! This was DELICIOUS. I can attest to it! When can we have a pistachio ice cream?